The first European screening of this collaborative interpretation of Mozart’s two-act opera. This is the first European screening of artist Frances Stark’s The Magic Flute (2017), her collaborative interpretation of Mozart’s two-act opera. Known for her drawings and installations, often incorporating video in unique configurations, The Magic Flute is Stark's most ambitious and expansive moving image work to date. Working with an auditioned group of young musicians alongside conductor Danko Drusko and cellist Ameena Maria Khawaja, the collaborators achieve a work of epic scale, challenging traditional routes to the classical form of the opera. 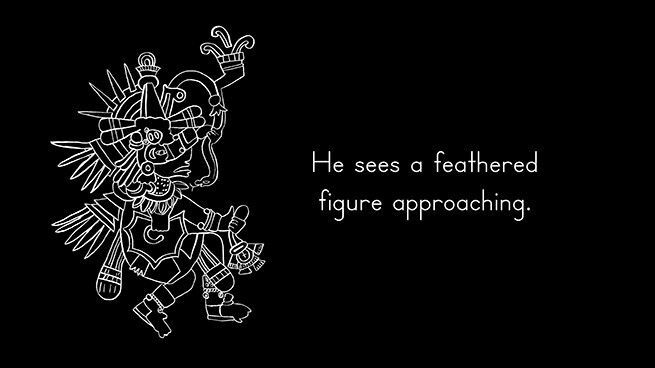 In Stark's signature graphic style, The Magic Flute's narrative unfolds through text-on-screen and discreet animation. Frances Stark introduces this screening, which is followed by a conversation exploring the relationship between text, sound and image in this and other works by the artist. Frances Stark was born in 1967 and lives and works in Los Angeles. Recent solo exhibitions include UH-OH: Frances Stark 1991-2015, MFA Boston (2016), UH-OH: Frances Stark 1991-2015, The Hammer Museum, Los Angeles (2015), Intimism, Art Institute of Chicago (2015) and Look, read along with me, Hayward Gallery (2014). In 2011, she exhibited My Best Thing at ICA London in a solo presentation. Stark participated in the 57th Venice Biennale and the Whitney Biennial, Whitney Museum of American Art, New York (both in 2017).